Rimmel has these Magnif'eyes Eyeshadow Palettes that come with 12 eyeshadows and in various shades/editions. 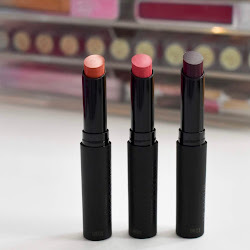 The one I'm featuring today is the Wow edition which comes with a nice color selection of shades from reds, to neutrals, to darks.I wasn't sure how great the performance of these shadows were going to be, but I wanted to give the palette a try since I've heard pretty good things about them this line. 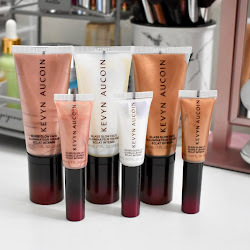 Find out more and see swatches below. The first half of the shades in the palette are more on the warm side. They swatched okay but a couple of the lighter shades didn't have much pigmentation as I expected. I wish there would of been a least one light matte shade in the palette so that there would not be so much shimmer. 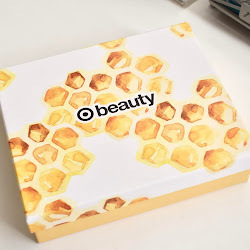 The second half of the eyeshadows are really gorgeous and make up for what the other shades lack. 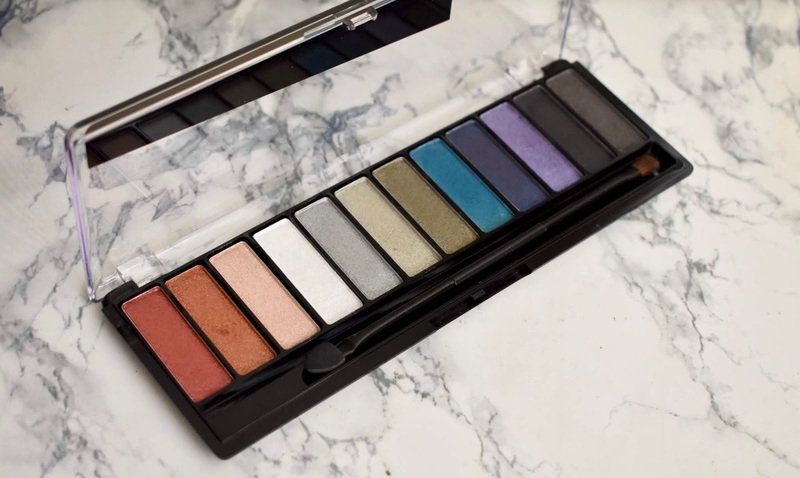 The blues, the green and even the purple shades are pigmented and work out great on the eyes. I always suggest on using an eye primer to make sure the shadows stick and last all day long. 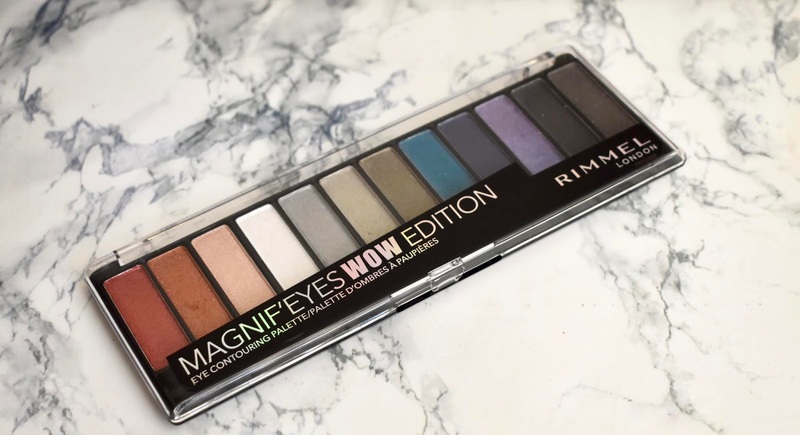 The Rimmel Magni'eyes Wow Edition Palette retails for $8.99 and can be found at CVS, Walmart and other retail stores.